A range of stainless steel shafts in diameters to match the bores of our Gears, Pulleys, Sprockets, Bearings and Collars. 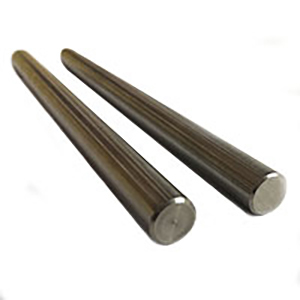 These can be used as drive shafts or axles in any applications where our drive components are used. Select from our range of Shafts below. 303 Stainless Steel Shaft, 1/8" Diameter, length approx. 6". ..
303 Stainless Steel Shaft, 3/16" Diameter, length approx. 6". ..
303 Stainless Steel Shaft, 1/4" Diameter, length approx. 6". ..
303 Stainless Steel Shaft, 3mm Diameter, length approx.150mm ..
303 Stainless Steel Shaft, 4mm Diameter, length approx.150mm ..
303 Stainless Steel Shaft, 5mm Diameter, length approx.150mm ..
303 Stainless Steel Shaft, 6mm Diameter, length approx.150mm ..
303 Stainless Steel Shaft, 8mm Diameter, length approx.150mm ..
303 Stainless Steel Shaft, 10mm Diameter, length approx.150mm ..